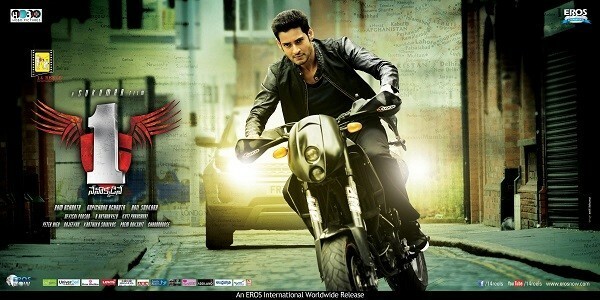 Actor Mahesh Babu is all set to work under Koratala Siva's direction after wrapping up "Aagadu." The Mahesh-Siva film will go on floors in July which is deemed as a commercial entertainer that will appeal to Mahesh's fans. The project was announced last year, but the shooting hasn't commenced yet, as Mahesh is busy with "Aagadu," directed by Srinu Vaitla. Now, it has been confirmed that the Telugu superstar will begin the shooting of the Koratala Siva directorial in July. The untitled project will be Siva's second outing post the stupendous success of "Mirchi," starring Prabhas and Anushka Shetty. "I am very excited about this project as I am getting a chance to direct superstar Mahesh Babu in my second film. The subject will perfectly suit the actor and enthrall the audiences, especially his fans," Siva was quoted as saying by Deccan Chronicle. Initally, UTV Motion Pictures was supposed to produce the project. But now Mythri Movies will be producing it. Music director Devi Sri Prasad will be composing the songs for the yet-to-be-titled flick. However, details about the film's cast and crew members are yet to be revealed. There is a buzz that the makers are planning to rope in Shruti Haasan for the female lead role, but there is no official confirmation on the same. If Shruti is indeed cast opposite Mahesh, it will be her first project with the superstar. What about Mahesh Babu-Maniratnam's film? There have been reports that Mahesh Babu has agreed to work in Maniratnam's new film that will also have Nagarjuna, Aishwarya Rai Bachchan and Shruti Haasan in pivotal roles. Maniratnam's wife Suhasini had confirmed the presence of these big stars in the director's new project, which is touted to be a spy thriller. She had also revealed that the film's shooting will commence in June this year. Later, Nagarjuna had also confirmed that he will be starring with Mahesh Babu in Maniratnam's film. Now that the Mahesh-Siva project will commence in July, it is not clear as to whether the actor will opt out of the Maniratam project or whether the film will get delayed. Speculations are rife that the spy thriller film might get delayed and pushed to August or September owing to date issues with Mahesh Babu. Earlier, there were also rumours that the actor has dropped off from the project. As of now, there is no clarity on the Maniratnam project, which is touted to be Aishwarya Rai's comeback film. An official announcement might give us a clear idea about the project, cast and crew details.